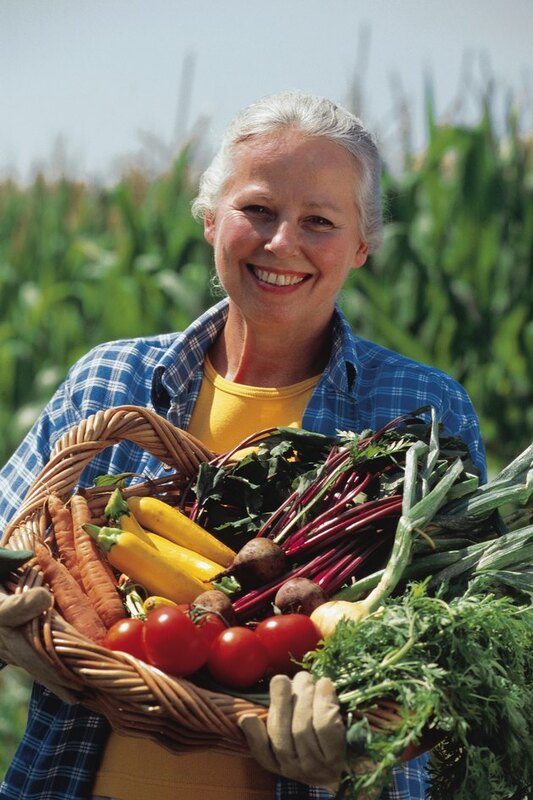 Preserving the nutrients in your food is an important component of maintaining a healthy diet. How you prepare and cook foods influences their nutritional content. Water-soluble vitamins, in particular, are unstable in heat. Boiling, for example, destroys some of the water-soluble vitamins in vegetables and fruit. Take steps to minimize the amount of vitamins that are lost through cooking. Ascorbic acid, or vitamin C, is an extremely unstable water-soluble vitamin. The vitamin C content of foods can be reduced by exposure to extreme cold, heat, light, lengthy storage and water. Vitamin C is found in citrus fruits, berries, and in vegetables such as broccoli and spinach. All forms of cooking reduce vitamin C levels in foods. However, boiling foods destroys the highest percentage. In a study published in the August 2009 issue of the "Journal of Zhejiang University Science," researchers examined five methods of cooking broccoli. The methods were stir-frying, microwaving, steaming, boiling, and a combination of stir-frying and boiling. The study concluded that after five minutes of cooking broccoli florets, using each method, boiling destroyed the highest percentage of vitamin C.
The B-complex vitamins, which are water-soluble, include vitamins B1, B2, B3, B5, B12, biotin and folic acid. B-complex vitamins are generally unstable and can be lost during processing, storage, exposure to light. Heat can also cause foods to lose B-complex vitamins. In a study published in the November 2010 issue of "The Journal of the Pakistan Medical Association," researchers set out to determine the effects of boiling on water-soluble vitamins in milk. The study showed that after boiling the milk for 15 minutes, between 24 percent and 36 percent of vitamins B1, B2, B3, B6 and folic acid were destroyed. Take measures to help retain a greater percentage of water-soluble vitamins in foods before, during and after the boiling process. Don't soak vegetables in water prior to cooking them, and refrigerate them in a covered container until you are ready to boil them. Boil the vegetables whole if possible. Use the smallest amount of water possible to boil the foods, and don't boil them any longer than is necessary. Serve the foods immediately after you remove them from the water. Some vitamins are present in the water that you used for boiling, so use the water in gravies or soups, if possible. The recommended minimum daily requirement for vitamin C is 90 milligrams for adults, and an additional 35 milligrams if you are a smoker. Consuming adequate vitamin C is important for a healthy immune system. If you don't routinely consume fruit containing vitamin C and you boil your vegetables, consult with your health-care provider to determine whether vitamin C supplementation is appropriate. You should also try other methods of cooking your vegetables such as steaming or quickly stir frying them in vegetable oil.